I mentioned this photo to a friend and then thought I'd slap it up here on Cycle Chic. Bicycle with sidecar in Copenhagen. 1935. 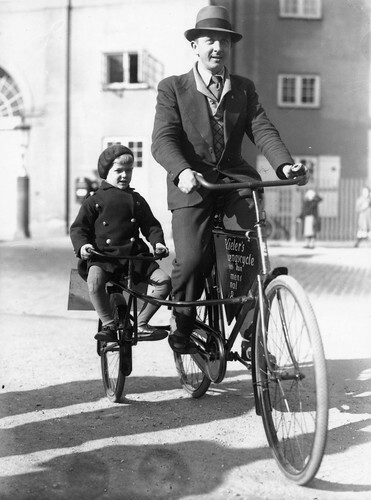 Timeless, classic Cycle Chic for father and son. This man might have been an office clerk dropping his son off to school or grandmother's house. Just living his life. But don't they look elegant.